Monitoring, verification, and accounting (MVA) activities are an important component of the Kevin Dome Project. These approaches include a variety of methods that seek to better understand the short- and long-term behavior, injectivity, and storability of CO2. In addition, MVA activities ensure that the project is not impacting the environment, surrounding resources, or the nearby community. 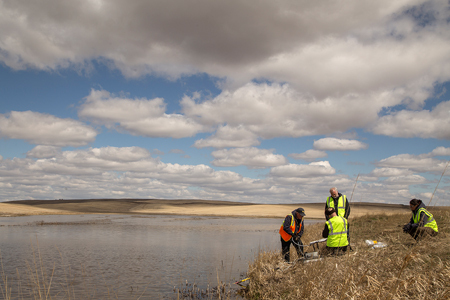 Similar to any large-scale research endeavor, one of the first MVA activities with the Kevin Dome Project involves collecting background data on the surface and subsurface environment of the research area. Establishing baseline assessments allows researchers to compare environmental and geochemical properties before and after CO2 injection. 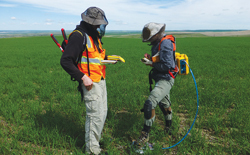 In addition to the extensive 3-D seismic survey, other assurance monitoring techniques involve water sampling, soil and atmospheric CO2 measurements, and advanced imagery techniques. 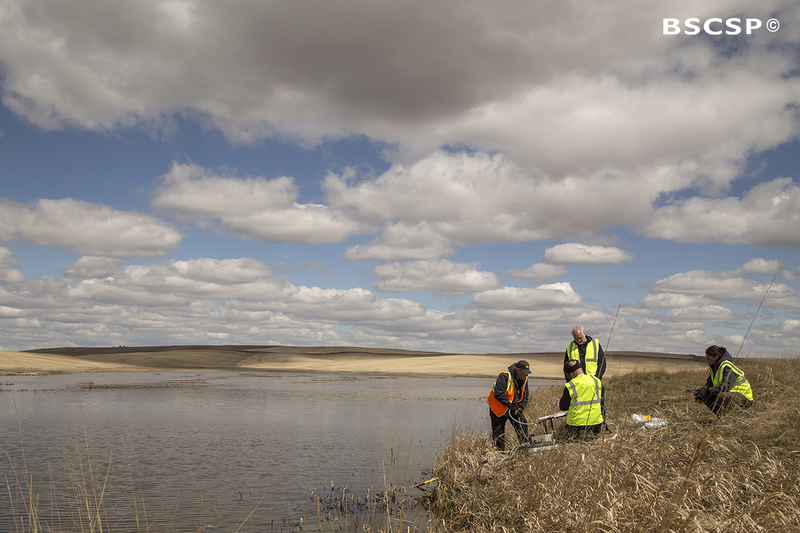 From the fall of 2013 to the spring of 2014, water samples from surface and shallow groundwater water bodies located in or near the Kevin Dome research area were collected. 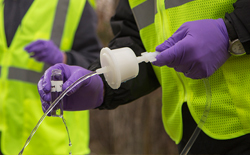 During this time, a dozen different water sampling sites were tested multiple times for water quality and geochemistry. As part of this, basic physical properties such as conductivity, mineralogy, temperature, pH levels, and alkalinity were measured. Laboratory results indicated sodium (Na), sulfate (SO4), and chloride (Cl) were among the most common elements found in the water samples, which is typical for the conditions prevalent in the Kevin Dome area. 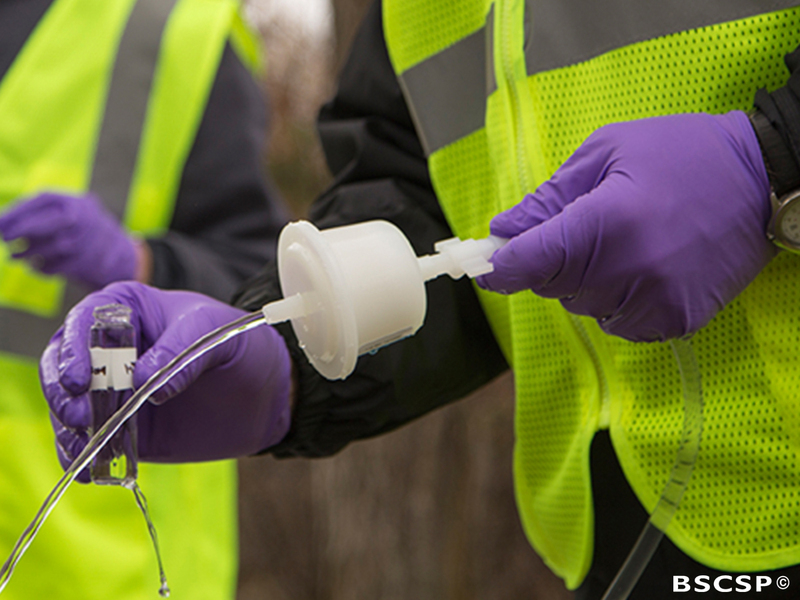 Future water samples collected post-injection will be compared to baseline measurements to monitor for any changes in geochemistry. Measuring the amount of CO2 within the soil, or soil CO2 flux, was another component of monitoring for the Kevin Dome project. 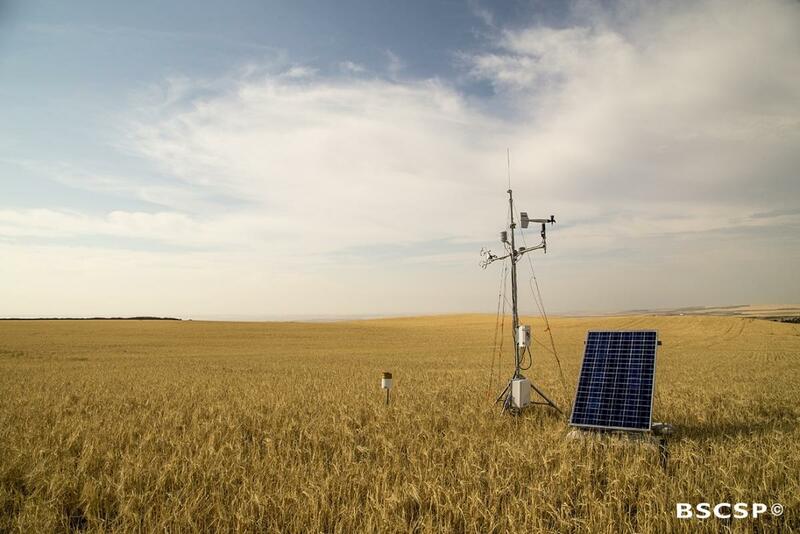 A variety of factors influence the concentration of CO2 within soils, including temperature, moisture, microbial activity, and surface variables like wind, pressure, and precipitation. 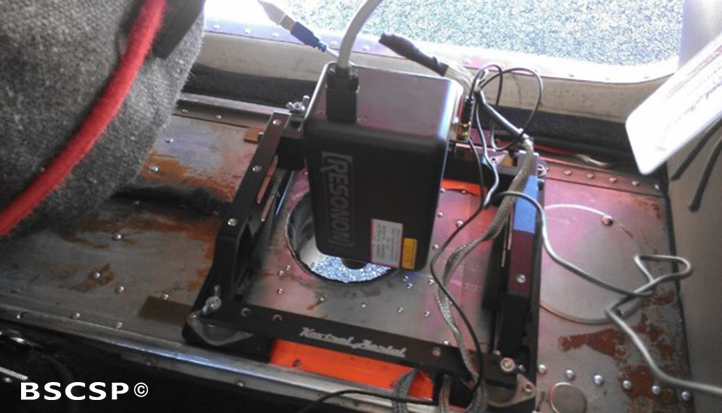 For this study, a survey of soil CO2 surface flux was made with a portable accumulation chamber. Baseline measurements began in the summer of 2014 in a 1 square mile grid surrounding the proposed injection well site. 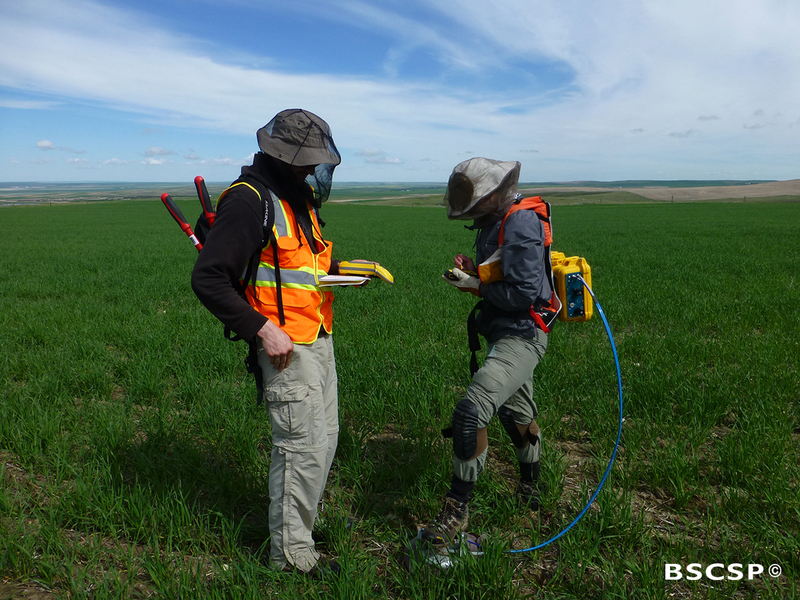 Results indicated levels of CO2 flux out of the soil surface were consistent with what would be expected for soil under this type of land use. In order to calculate how much CO2 is exchanged across the ground surface, an eddy covariance tower was installed near the proposed injection site. 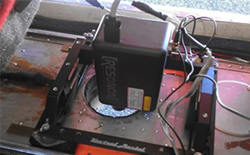 Background measurements began in June 2014. 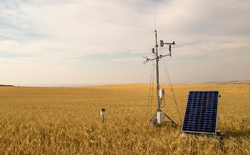 Because atmospheric CO2 flux is influenced by other surface environmental factors, such as temperature, winds, and pressure, a weather station was additionally installed alongside the eddy covariance tower. Together, the tower and weather station will conduct high frequency measurements of CO2, water, wind, temperature, and pressure data. As a result, the flux of CO2 and water vapor between the ground surface and atmosphere can be analyzed and calculated. Aerial hyperspectral imaging is being used to monitor for changes in vegetation around the proposed production and injection well sites. This type of imaging technique uses the spectra reflected by vegetation to assess plant health, which can be an indirect measurement of elevated CO2 in the soil. Hyperspectral imaging allows relatively large areas to be surveyed for evidence of plant stress. Point CO2 detection techniques can then be used to follow up on anomalies seen in the imagery. Baseline imagery, which provides characterization of the spatial variability in vegetation type, density, and distribution, began in the summer of 2014.